Do you feel like a pack mule carrying around a heavy load? It is no wonder we are always exhausted with the load most of us carry. It’s not only the physical stuff we carry but also the emotional and mental load of the stuff we carry in our heads. Everyday when I go to work I see people burdened down by backpacks, briefcases, laptop cases, purses, bags, rolling carts and more! Why is everyone always carrying so much stuff? Maybe you job is such that you have to take all that paperwork home with you every night. But do you work on it or are you too exhausted? So then what happens? You carry it back to work the next day! We bring laptops home to work on them but do we? You carry your workout clothes, water bottle, cd’s, books, extra shoes and a ton of other stuff “just in case”. Ask yourself how you would feel if you didn’t have all this stuff with you everyday? How is your home? Lots of stuff there too? Are you a pack rat saving things for a rainy day? Magazines stacking up for the day you have time to read them? Clothes hanging in the closet that you haven’t worn in years? Boxes of stuff packed away that you don’t even know what is them anymore? Junk mail piling up on the counter? Having lots of stuff around you clutters your mind. It starts to overwhelm you and you don’t know where to start. You start to worry about it, what to do with it, where to put it. Pretty soon you can even think about it anymore and then it just continues to get worse. Then there is the emotional baggage you might be carrying. Anger, depression, financial concerns, relationships, employment can all add to an already heavy load. If you start to deal with these issues you may find it is easier to deal with the other clutter in your life. At the same time you may find getting rid of the physical clutter will help your emotional and mental load. Start to lighten your load by making a list. 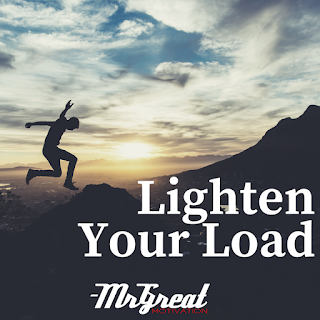 What is the number one thing you could do to lighten your load? Next outline the steps you need to take to start reducing the clutter in your life. Break it down into small steps such as cleaning out one closet, not the whole house. Sell off, giveaway or throw out the stuff you no longer need. Have a garage sale or sell off stuff on ebay. Use the money you earn for treating yourself to a day at a spa. Make a vow not to keep carrying the same stuff back and forth to the office. 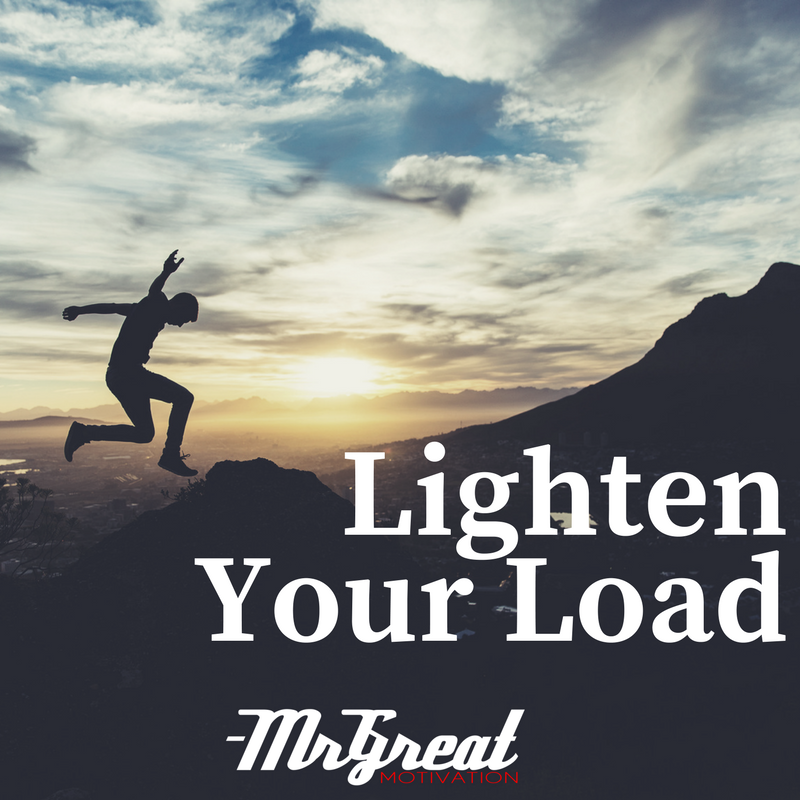 Once you start to lighten your load you will feel like you have more energy, clearer thoughts and a happier outlook on life. You will no longer have to worry about all that stuff that has been cluttering your life. You will find you can travel farther in life with a lighter load.